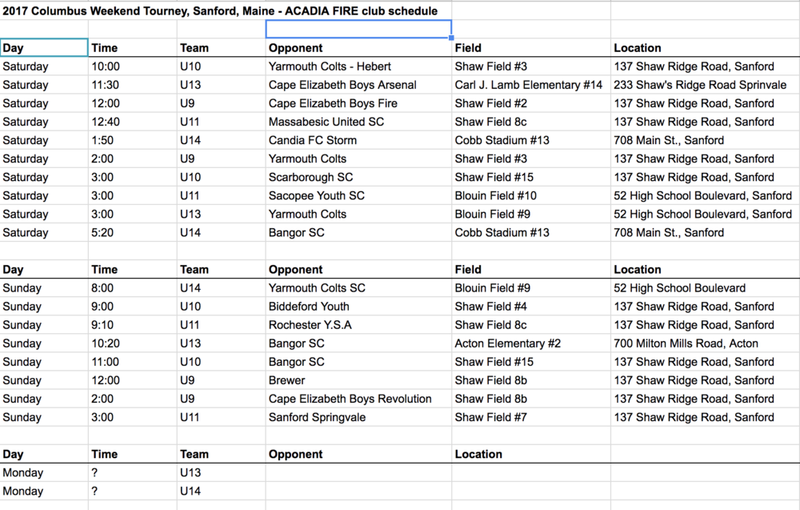 The following is the schedule for this weekend's holiday tournament in Sanford, Maine for the dates of Oct. 7, 8, and 9. All AFFC fall teams will be competing. This information can also be found at the following link, with google drive needed to view it.